As autumn blows around the corner, you may notice more damage to your skin than usual, due to wind, rain and even pollution from your city. However, don’t worry for you can combat this with an updated skin-care routine that will guide you through the colder months until spring reappears. Here are some ideas to get you started. Organic products are known to have benefits all around. Whether that be through organic cooking so your insides feel healthy, or organic skin care in order to provide your skin its natural sheen, its important to use them to the best of their ability when cleansing and exfoliating yourself. When beginning your organic skin care routine, remember that you need to remain consistent with it. Coconut Oils are a fantastic way to exfoliate your skin whilst also reducing inflammation and dry skin, but don’t forget to also melt it before applying it to your face, as this will make it easier for it to be absorbed into the skin. Before moisturising with a flower-based skin care product, why not also consider bringing out a Konjac sponge for your exfoliating? As a root it is eco-friendly but also is soft upon the skin, meaning less damage when you deal with any problematic pores. 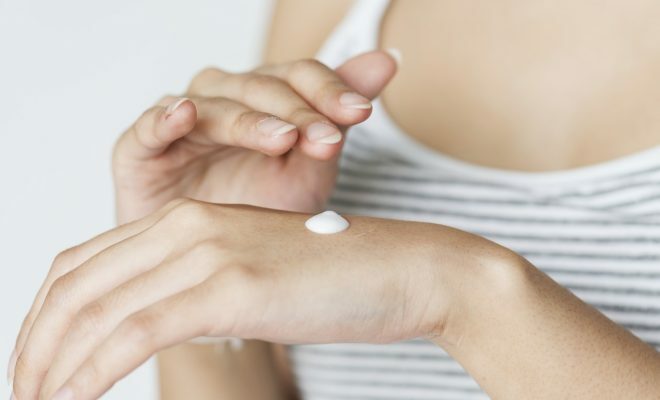 It is far better than putting potentially harmful chemicals or highly scented products upon your skin, which can leave you more prone to acne and sensitive skin. As the warm weather ends, it is time to add a new layer of protection alongside your woolly jumper. Cara Pelosos, a skin-care guru at CAP Beauty, has even said that ‘your skin’s going to need more protection in colder weather’ as ‘ you tend to stay indoor more as so the air is dryer.’ Therefore, there is more chance that your skin dries out even if you hide away from the high winds, as the heat from radiators can be just as damaging. It is important to keep up with your hydrating products, including using an oil balm or even pulling out your hydrating face masks. If you own a dehumidifier you can experiment with turning it off while you are in the room to ensure that there is more moisture in the air to rejuvenate your skin. With the summer weather making your sweat, you may have indulged in stronger products to cleanse your skin, such as mint cleansers, however as the autumn months approach, you may want to try something a little softer. Avoid that dry feeling by looking into some Aloe Vera based products. If your face is still feeling tight by the end of it then you may need a stronger product. Following the same routine as the Cleanser, your skin will require protection during the colder months, but less than your summer routine. Indulge in some Neroli Toning products in order to feel refreshed and invigorated. However, remember to avoid alcohol-based products, as theycan cause dry skin.